Have you ever faced the problem where a legacy DOS or Windows 95 & 98 runs perfectly on Windows XP/Vista/7/8, with or without compatibility mode, but refuses to print? 1) First, make sure you can print from within Windows to the desired printer, by printing a test page. All of your printers should be listed, including the printer you want to set up for DOS printing. 3) Right-Click on the name of the printer that you want to set up for DOS printing and choose “Properties” from the pop-up context menu. 4) Click on the “Ports” Tab at the top of the Printer Properties Window. 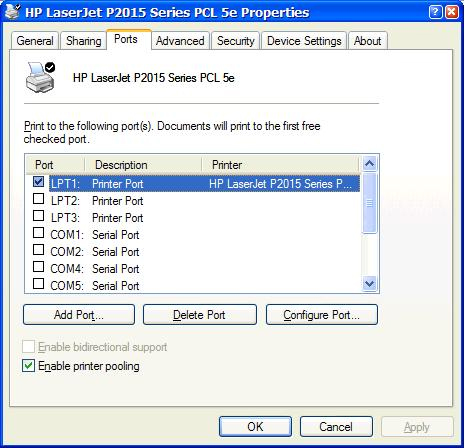 5) Make a note of the exact name of your current printer port. 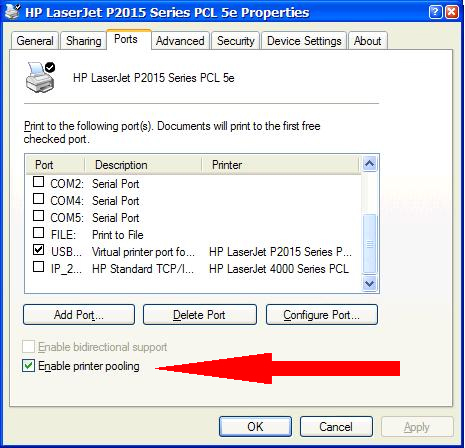 6) Select the “Enable Printer Pooling” checkbox. i.e. be sure that the box is checked. 7) Scroll up and/or down through all of your listed ports and click the “LPT1” port to place a checkmark in it. 8) Click “Apply” and “Ok”. The above steps essentially trick Windows to act as if the USB/Ethernet printer is connected to LPT1. No need to use expensive third party tools such as Printfil or DOS2USB… this will do the trick as well!